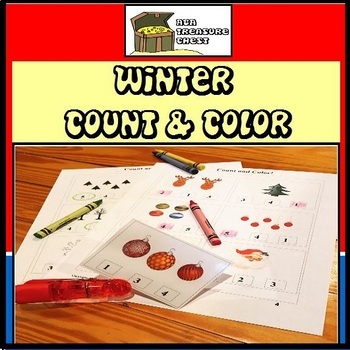 This resource is designed to provide fun holiday counting materials. 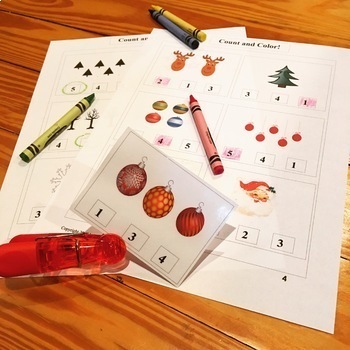 There are 5 color worksheets and 5 black and white worksheets in which your students can count Winter/Christmas items 1-5 and color the square with the correct number. (Or circle it if desired). There are 6 problems on each worksheet. 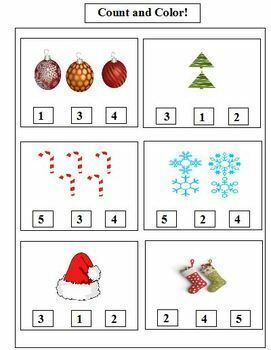 Print any of the worksheets desired and use in any order. You may also laminate them and use them as clip cards. Follow our store for the latest resources and sales! 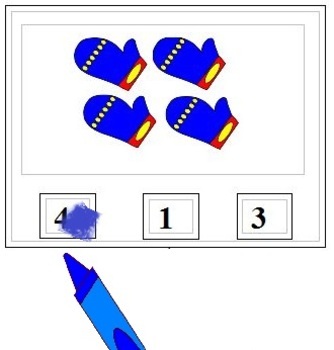 Use of this product: You May: Save this product to your personal/Computer files, Use for personal, single classroom or home school, Make copies for your own students, Share the cover page or link to this product site on social media. Purchase additional licenses at a discount cost. You May Not: Share the actual digital or paper product via copying, email, clouds, or any other device or manner with anyone other than the original purchaser, place this product on any site for public download, claim any or all of this product as your own work or resell any part of all of this product.